We all know of some couples who are always on the other side of the world doing something seemingly ridiculous - like becoming yoga teachers; or learning to build houses out of mud – instead of working at a career, saving to buy a house, and all the other things they ‘should’ be doing. It’s easy to question what they’re doing. What about their careers? When will they start planning for their future? If they don’t get on the property ladder now they’ll still be paying off a mortgage when they retire!!! But while you’re lounging on your sofa, watching at your widescreen T.V, don’t be critical – Be inspired. 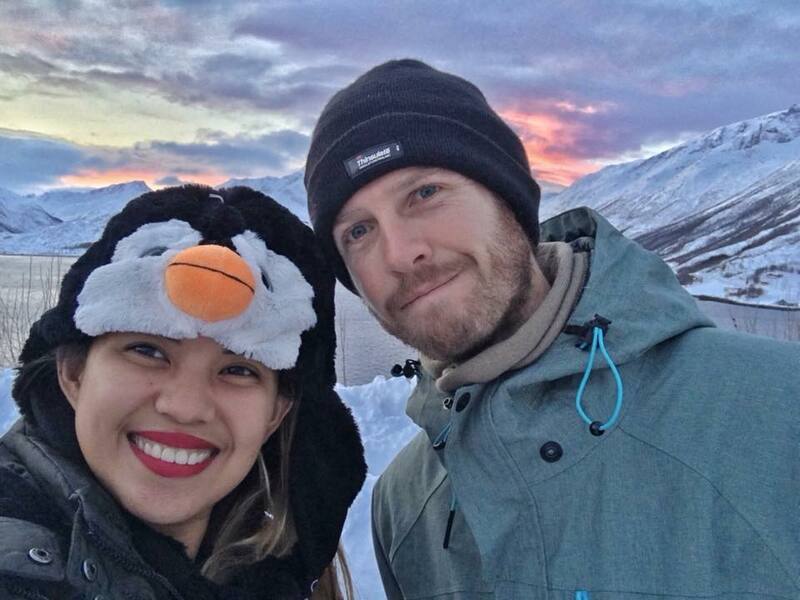 Be inspired by the couple who decides to forego the ‘security’ of their job or career to travel the world and learn new skills. It actually takes some courage and fortitude to make the decision to leave everything behind and stick to it; particularly if you’re from a family culture where your goals, ambitions, career path and even life-partner may be decided for you. Be inspired by the couple who can sell all of their possessions at the drop of a hat so they can buy a one-way ticket to Bangkok. We all get attached to the things we spent months or years saving for and probably more money maintaining; cars; furniture; gadgets; mountain bikes; clothes; houses even! But what are we really attached to, the things themselves; or the thought of the time and money we invested into them? The ability to see past that which has already gone and to understand the true feeling of freedom that comes with owning nothing but a small bag of clothes and your passport is one that comes naturally to some. For many though, it’s a difficult and life-changing decision to step out of the comfort zone and routine that we’ve spent our whole lives being conditioned for. Be inspired by the couple who can spend 24 hours a day, 7 days a week together…and survive! OK, so there is some alone time…there has to be! But there are many times when all the company you have is each other, sometimes for days at a time. 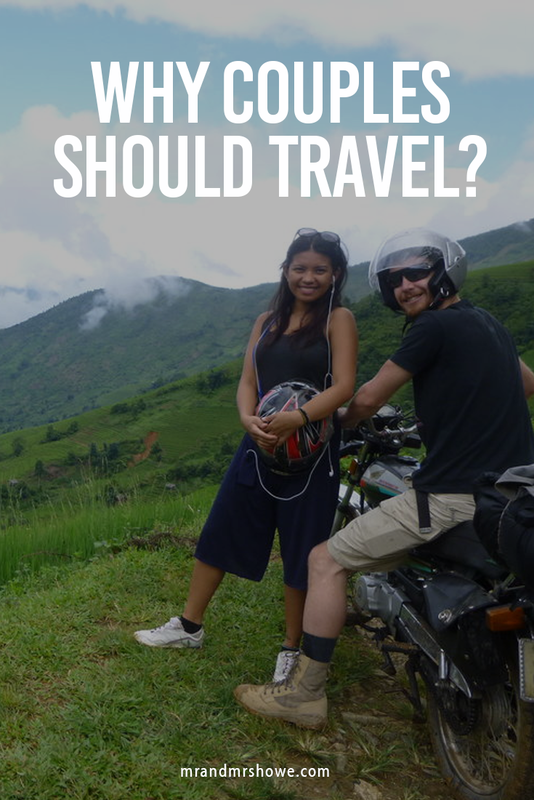 This could be a 36 hour train journey or a week-long motorbike trip around North Vietnam. Whatever and wherever, you soon find out how you both cope with pressure; lack of sleep; hunger; illness; language barrier. All of the usual travelling challenges are potentially explosive when you have someone to take out your frustrations on! Travelling together is a challenge in itself and if your relationship can survive a life on the road, it can survive anything. In the end, a couple who travel knows that they will naturally come to a point in their lives where they know what they want. The combination of their shared knowledge and experiences will help them achieve it. More importantly, what long-term travel does is remove the fear of the unknown and replaces it with a deep curiosity and drive which will lead you to places you never imagined exploring yourselves. The point of this article is neither to declare one way of life as right, nor the other as wrong. In fact, it’s impressive how people have the ability to focus on their career, pay all of their bills, maintain a social life, follow their own interests and still, somehow, fit another person with those same requirements into it all. It’s a work of logistical genius! All I can say is this: Make your choices and make them for your own reasons. Allow other people to make theirs, even if you know you made the same wrong decision in the past. After all, wherever you are today is the result of all your life’s decisions; both right and wrong. Our European Honeymoon Trip - How we spent 2,000 Euros ( $2200 USD/ 107,000 PHP) in 1 month visiting 18 Countries.